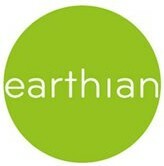 earthian: The Taj Under Threat! The Taj Mahal in Agra, India is one of the world's great sights, but it is in danger of being irreparably damaged by air and water pollution. Twelve years ago the government started a programme to save the monument, with Bill Clinton saying that pollution had done "what 350 years of wars, invasions and natural disasters have failed to do." In 1998, when the white marble of the famous monument began to turn yellow, warning bells went off. India's Supreme Court ordered that more than £90 million be spent on restoring the country's most famous monument. Conservationists have taken a number of steps to curb pollution in Agra which is a growing manufacturing centre. Cars have been banned from within 500 metres of the monument. An LED display gives a running tally on air pollution. Diesel-run rickshaws have been replaced by cleaner vehicles, a road by-pass has been created and there has been heavy investment in a refinery to reduce emissions. But despite these actions, a new report has found that pollution levels have increased dramatically; so much so that emissions of nitrogen oxide have reached higher levels than those of twelve years ago. There are several reasons for the problem. The city of Agra has grown in size, industry and population. Fumes from greater traffic have made the Taj Mahal dirty again. There are " thousands of vehicles plying the roads and emitting pollutants at an alarming level. The city roads are so congested that for a 15 minutes drive, one has to spend an hour thus consuming more fuels and emitting more pollutants." With a greater population, there is more demand for water which has meant that the water table is dropping in the river which runs beside the monument. However, the foundations of the building are made of wood which must be kept moist to avoid subsidence.